10 Years After 9/11: Where Were You? Ten years ago I was working in an office building six miles from the Pentagon. The company’s founder had a TV in his office. Once we heard the news about a plane flying in to the World Trade Center, we were all glued to CNN. At first we thought it was a horrible mistake. A tragic error on the part of the crew or a malfunction of the equipment. When the second plane crashed in to the tower, we knew the truth: This was no accident. A few minutes later, we heard a plane fly extremely low. We all nervously chuckled because we thought we were over reacting to the news from New York City. The plane made a second pass down Columbia Pike, where our office was located and we knew that was not a normal flight pattern. Then, seconds later, Flight 77 crashed in to the Pentagon. The force of the impact was so great that it shook the windows in our building. 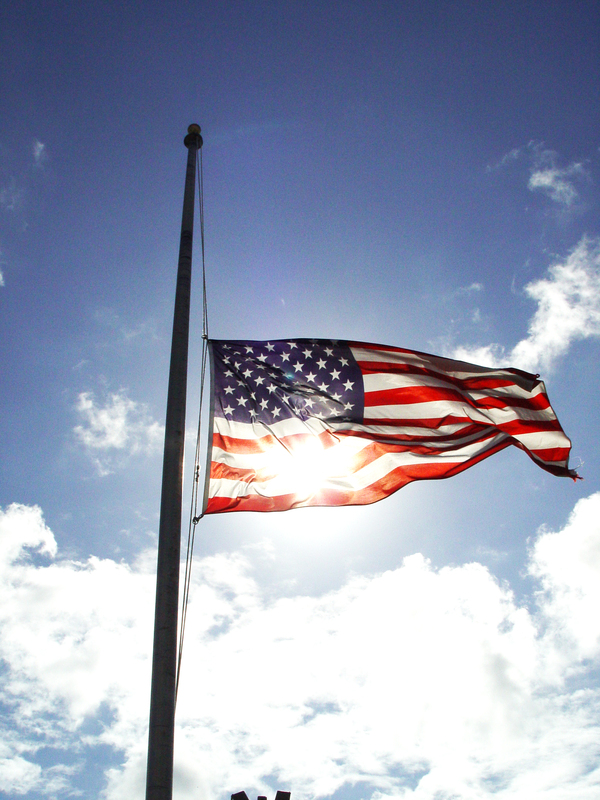 We closed the office and headed home because we then knew that America was under attack. Like most Americans my age, I have grown up in a relatively peaceful time in America. Vietnam was over by the time I entered kindergarten. Unlike so many other countries and their citizens, I had never been through anything like this. Wars were in other countries. We had learned our lesson at Pearl Harbor but the new bad guys had tossed out the handbook. The trek home in my car, with tens of thousands of other Washingtonians, was the longest drive of my life. Cell phone service was overloaded but we had Nextel and were able to communicate via the radio. My husband had just opened his business that March and was driving back from a job site. He was able to first reach our children at day care. My children were four and one. Soon after I got on to Route 66, the Federal Aviation Administration grounded all commercial and private planes. Airplane noise, which we normally tune out, was no where. The skies were eerily silent. Believe it or not, everyone was driving pretty calmly considering our normal state of Washington, DC rush and road rage. We stayed glued to the TV the rest of the day and night. Because our children were so young, we were able to shield them from the tragedy, enough so that they really did not find out about 9/11 until the subject became part of a history discussion in school years later. September 10, 2001, was the first time in my life I went to bed afraid. I prayed that God would protect us all; that survivors would be found; that first responders would keep the faith; that those who lost loved ones would not grieve forever. I admit that I also prayed that our military, CIA and other acronym-based agencies would find the bastards who did this. Yes, I prayed for revenge. The events were too fresh and I wasn’t spiritually ready to pray for forgiveness. Someone had declared war on the USA and I wanted John Wayne, Robert Mitchum, Henry Fonda, Harrison Ford and Sean Connery to fix it all. Where were you when 9/11 happened? How did you find out? How has it changed you? I have been watching the perils of the United States Post Office in the news. Its financial situation, is, at best, crap. 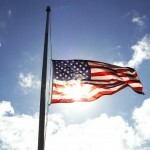 They may default on a $5.5 million trust fund payment for retirement funds unless the United States Congress steps in. I am not sure which is worse: The fact that this organization that has been around since 1775 is about to go under or the fact that it is asking Congress for help. If the USPS goes under, it would be awful for all of its 574,000 employees. It would hugely inconvenience postal customers. What will “mail call” look like to our military personnel? No more care packages. No more scented letters from home. No more updated pictures to tuck in to a helmet or vest pocket. No more Girl Scout cookies sent every spring as a small reminder of home. Who is going to deliver our mail? Yes, many of us bank online and no longer receive bills in the mail. But not every business operation or consumer is set up to deliver or receive information electronically. My Dad is one such customer who does not own a computer. Yeah, he’s old school, but that’s for another blog post. UPS and FedEx are the only other options out there who might be able to step in and fill the void. But would they want to? 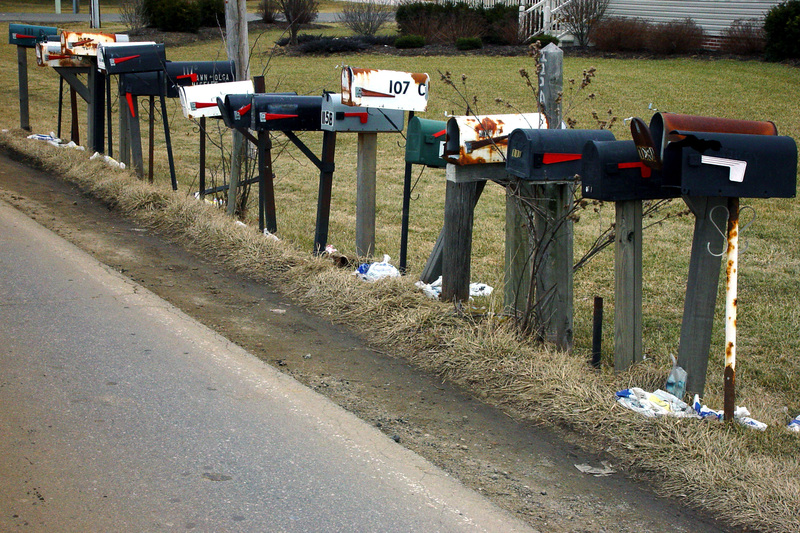 I would not touch the USPS’s problems with the proverbial 10 foot pole. Well, actually I could, but I wouldn’t make any friends along the way: think Michelle Rhee and DC public schools. As a magazine publisher, I am extremely concerned. Who is going to deliver my association’s magazine, ACC Docket? Sure, we have a digital edition we’ve published since October 2007 that all of our members and subscribers receive. We also launched a mobile app in October 2010. But when surveyed, the majority of our members still want the print version. Are our advertisers ready, willing and technically adept to make the switch to providing digital advertising? 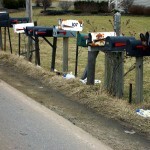 How will the possible failure of the USPS impact our advertising revenue? One reason print editions still exist is that the advertising industry is not ready to completely give up print. Ad revenue is still heavily tied to print editions. Is this changing? Sure. But not nearly as fast as digital and mobile gurus would have you believe. USPS’s failure puts printers out of business. Magazine delivery can still happen in digital and mobile formats. But no longer printing our magazine affects our printer: hours or jobs would be cut. Is it because we are its biggest customer? No. It’s because everyone who publishes a magazine or journal will no longer have a distribution channel if the USPS goes under. We will all be forced to go digital and mobile simply to deliver content to our members and readers. I am not sure the print industry would survive if this happened. This means around 594,000 men and women in the printing industry could be out of work. This number doesn’t even include folks in the paper industry, binding work, and other industries that work closely with printers. We could potentially see 1 million Americans out of work. This is not a stat I would want if I held political office. Am I proposing that Congress gives the USPS carte blanche bailout money? Hell no. Anyone who’s ever been to an onsite post office or applied for a US passport knows that the USPS needs major TQM PDQ (Total Quality Management pretty darn quick). And then there’s the whole union issue which needs to be pruned. As in cut away forever. But if the USPS fails, and it likely could, it’s impact is widespread. The US economy can ill afford this kind of set back now. Just as the 2008 big three car company crisis severely affected our economy, so would the failure of the USPS. We did not let the big three fail, nor should we let the USPS.